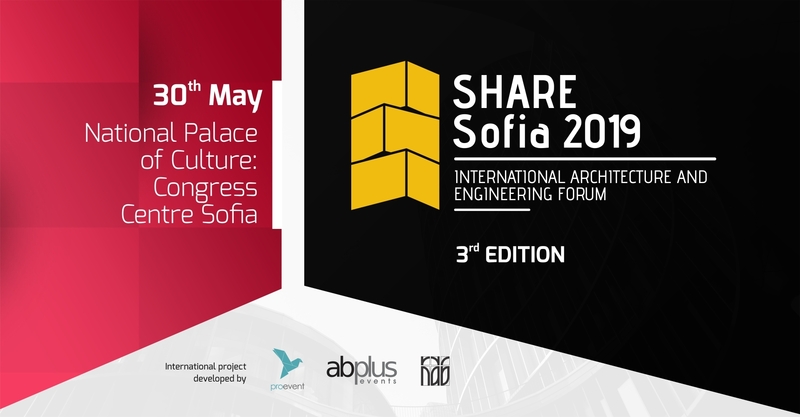 We invite you to meet our speakers and register for SHARE Sofia 2019! Carol Ross Barney, FAIA, has been in the vanguard of civic space design since founding Ross Barney Architects in 1981. With a career that spans over 40 years, Carol has made significant contributions to the built environment, the profession, and architectural education. As an architect, urbanist, mentor, and educator, she has relentlessly advocated that excellent design is a right, not a privilege. Her body of work occupies a unique place within the panorama of contemporary architecture, being exclusively composed of work in the public realm. Carol’s projects vary in type and scale, but uphold a deep commitment to the role architecture plays in life quality. This has manifest itself in spaces that transition urban dwellers from point A to point B and enrich the metropolitan experience; to buildings that are environmental stewards, showcasing sustainability in an overtly compelling way; to spaces that inspire young children and the brightest minds of tomorrow to learn, invent, and break boundaries. Ross Barney is a graduate of the University of Illinois. Following graduation, she served as a U.S. Peace Corps volunteer in Costa Rica planning national parks. She teaches an advanced Design Studio at IIT and serves on their College Board of Overseers. Carol’s work has been honored with over 100 major design awards, including six national American Institute of Architects Institute Honor Awards, over 40 AIA Chicago Awards, two AIA Committee on the Environment (COTE) Top Ten Project Awards, and the AIA Chicago Lifetime Achievement Award, the AIA Thomas Jefferson Award for Public Architecture and the AIA Illinois Gold Medal, all for a distinguished body of work. She was named as a “Game changer” by Metropolis magazine in 2018. For nearly two decades, Carol’s studio has been working along Chicago’s Rivers. These efforts include the design of the Chicago Riverwalk and studies on all one-hundred-and-fifty-miles of riverfront across the city. The goal: reconnect people with the dynamic and changing life of the City’s natural resources. Other Notable projects include the McDonalds’ Chicago Flagship Restaurant, CTA Cermak-McCormick Place and CTA Morgan Street Stations, Jewish Reconstructionist Congregation Synagogue, James I Swenson Civil Engineering Building, Oklahoma City Federal Building, Bloomingdale / 606 Trail Master Plan, and design of schools for Chicago and communities across the country. Principal Architect of Sanjay Puri Architects, India has been a speaker and a judge at numerous international architecture events including the Leading European Architects Forum, The World Architecture Festival & The Perspective PLAN events held in London, Amsterdam, Bologna, Milan, Venice, Barcelona, Singapore, Berlin & Belgrade. Winning the World’s Best Residential Building of 2017 at the LEAF Awards, London and the World’s Best Future Infrastructure Project of 2017 at the World Architecture Festival, Berlin, Sanjay Puri Architects have now won over 114 international architecture awards. Erginoğlu & Çalışlar Architects is an Istanbul based, independent firm of architects founded in 1993 by Hasan Çalışlar and Kerem Erginoğlu. The firm specialises in urban planning, architecture, and interior design projects together with providing assistance for planning applications. The ethos of the company is to view each project within its individual context and contribute to it through innovative architectural solutions. The firm has vast experience gained through successful completion of a wide variety of both national and international projects on a range of scales. Erginoğlu & Çalışlar Architects have won many prizes and awards for their innovative projects. These include; “The New&Old Award” for the “Salt Repository-Medina Turgul DDB Head Quarters” in the World Architecture Festival 2010”, ‘The Building Award’ for the “Turkcell Teknoloji Research and Development Building” in the National Architecture Awards of 2010, ‘The Preservation-Revitalisation Award’ for “Salt Repository – Medina Turgul DDB” in the National Architecture Awards of 2010, ‘The Design Award’ for “Tarsus Sev Elementary School Campus Project” in the National Architecture Awards of 2010 and 1st prize in the invited competition for Tarsus Sev Elementary School Campus in 2009, 4th prize in the international competition for the Turkish Embassy in Berlin in 2007, an AMV Young Architects Award in 2004, ‘The Building Award’ for the “Military School Swimming Pool Complex” in the National Architecture Awards of 2000, the ‘Art of Building Conservation Award’ for the “Tuncel House” in the National Architecture Awards of 1996 and the ‘Graphic Presentation Achievement Award’ in the National Architecture Awards of 1992. Julian Weyer was born in Berlin, and has lived in Denmark since 1975, where he finished his studies at the Aarhus School of Architecture in 1994. Since then, he has lectured at the School of Architecture, and worked professionally as an architect and at C.F. Møller Architects, before becoming a partner of C.F. Møller Architects in 2007. Julian Weyer has extensive experience in the field of architecture, landscape architecture and urban design, including numerous competition wins and award-winning designs. He is working on projects in Denmark, Germany and the UK as well as worldwide. He is also a frequent lecturer worldwide and author of articles and book publications. Guest Speaker – Stanislaw DENKO (POLAND) – Director & Founder at Wizja Sp. z o.o. Stanisław Deńko was born in 1943 in Dobczyce to a judge father and his school teacher wife. Mr. Deńko’s wife, Iwona Deńko, is also an architect, similarly to their younger daughter, Małgorzata, who also acts as the office’s partner. Having obtained his diploma (in 1967), Stanisław Deńko worked at the Institute of Urban Studies and Spatial Planning of the Faculty of Architecture of the Krakow University of Technology, under the tutelage and in cooperation with Professor Witold Cęckiewicz (until 2000) – the competition win and designing the seat of the Polish Embassy in New Delhi (India). In 1981, as a senior lecturer of the Krakow University of Technology, Stanisław Deńko took up the function of the head of the Academic Architectural Design Office (APA) within the “Żaczek” cooperative of the Krakow University of Technology (until 1990) – the design and completion of the Jewish Culture Centre in the Krakow’s district of Kazimierz as well as the terminal of the Kraków-Balice Airport.In 1990, Stanisław Deńko was engaged by the College of Architecture at the University of Tennessee in Knoxville (USA), where he was teaching for three years – Award of Merit for particular didactic achievements and design work. In a student competition for adapting the military airport complex to serve as a civil aviation centre in Nashville, the student team headed by Stanisław Deńko was awarded the ex aequo 1st prize. In 1993, in cooperation with American architect Glenn Lewis, Stanisław Deńko set up the architectural design office under the name of “WIZJA” Sp. z o.o. (limited liability company). In 1995, Stanisław Deńko won the competition for the post of the Head Architect for the City of Krakow (until 1999) – the design of the Krakow Transport Centre and the Preconditions for a Study of the conditions and directions for spatial development of the City of Krakow. At the time, Stanisław Deńko also took over the function of Director of the Department of Architecture and Urban Planning of the Krakow Municipal Office and after having concluded his cooperation with the Municipal Office. Since 2004, Stanisław Deńko has been teaching at the Faculty of Architecture and Fine Arts of the Andrzej Frycz Modrzewski Academy in Krakow. He is a member of SARP, of the MPOIA (Małopolska District Chamber of the Architects of the Republic of Poland) Council as well as of the City, Voivodship and Chief Urban Planning and Architectural Committee. He has been the deputy president for creative matters at the Central Management Board of SARP, and the deputy president of the Krakow Branch of SARP for two terms. He also acted repeatedly as the chairman of the Competition Jury of the Krakow Branch of SARP. He had the opportunity to design (main projects): Embassy of the Republic of Poland in New Delhi, India (1973-78), Own house in Lubomierz (1975), Krakow-Balice John Paul II International Airport Terminal I (1989-94) and later extension (1999-2001), Sinsen Panorama residential building in Oslo, Norway (2000-04). Dorte Kristensen (Århus, Denmark 1963) has worked with atelier PRO since 1989, and from 2003 she has been management team member as architect director. She studied two years architecture at the Faculty of Architecture in Delft and worked as an architect in London. She graduated in 1989 at Arkitektskolen in Århus for her Master of Arts degree in Architecture (MA). Dorte’s ideas have been influenced by Scandinavian architects, such as Gunnar Asplund, Alvar Aalto and Jørn Utzon. Using this firm Scandinavian base, her Danish style perfectly fits in with the ideologies of atelier PRO: austere and robust architecture. Both Dorte and atelier PRO share the belief that buildings are inextricably connected to the environment. A building needs to enhance the atmosphere and character of the residential environment, so that it can form the foundation of a caring and cultured society. The threshold area design between private and public space is of vital importance, as it is precisely in these areas that people meet each other. Architecture is all about the sharing of experiences. Dorte specialises in the social domain of architecture. She has designed leading multifunctional buildings (MFAs), schools, town halls, and cultural institutions. De Statie MFA in Sas van Gent and De Klinker Cultural Centre in Winschoten are two exemplary designs that characterize her vision. They demonstrate the balance between context and architecture, between user-orientated architecture and its role as an icon, between functionality and the building as community symbol. A touch of Scandinavian craftsmanship and perfection in the Netherlands.